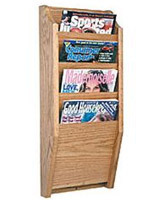 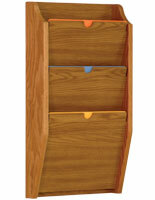 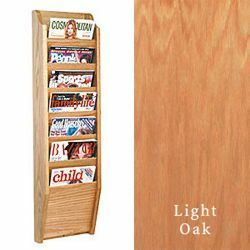 These 7-pocket literature displays feature a light oak finish that looks great in contemporary office settings. 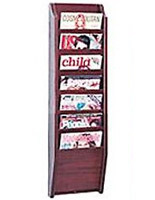 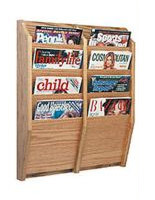 Each of these 7-pocket literature displays that are traditional magazine fixtures tidy and sort papers while conserving floor and counter space because they are mounted on a wall. 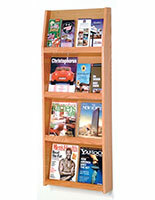 Letter-size pamphlets and publications will fit into these wall mounts perfectly. 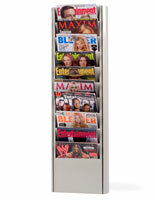 These 7-pocket literature displays that are magazine holders prevent clutter and dispense important promotions for your business! 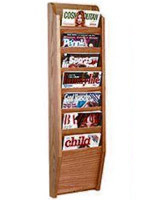 Wooden laminate mounts such as these last a long time!